Confessions of a dietitian. My kids eat doughnuts. My children surprise me time and time again with their eating and their ability to hone in on their own needs and internal cues… if only I give them a chance. With my oldest turning 8 this week she is exposed to different foods in places outside our home. Sweets at youth club, biscuits for sale at school (yes really in the playground), cake at groups. Totally a time for her to put into practise all her intuitive eating skills and experiement away from me. With Miss K being my first child, she is also the one that I weaned first and did all the things wrong with first! Parenting is the hardest job for sure and there is no manual. So I was clear on limiting her biscuit intake and on keeping the sweets up high and on a pedestal. The sweet issue I had to totally back track on, explain I had dealt with this badly and it was time to try a new approach. 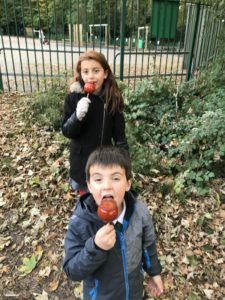 The result is my kids eat sweets, regularly but they savour them and we have small amounts after a meal or as part of a snack. Today they have both had half an iced doughnut. 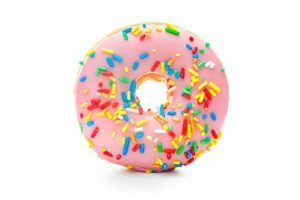 I don’t see restriction as the answer, I don’t want my children to grow up sugar-free or feeling cake is only for special occasions, but to appreciate all foods and know some things we eat less of. I certainly don’t dish out cakes and sweets daily but I do have them around and part of life, Children need to learn how to eat and how to be around foods at home. Home is the training ground, the place to experiment, get things wrong and then try again. This weekend I was on a course and my parents looked after my kids. They all did a fabulous job at looking after each other. One thing I noticed was how well the mealtimes went. My mum was worried the smallest one especially had not eaten well and recounted the day to me, she had eaten well just not in what we would percieve to be a normal meal pattern. That’s toddlers! 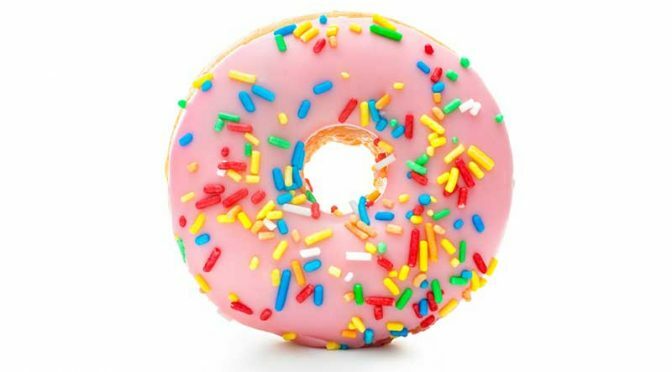 The kids had also convinced my mum to buy them doughnuts (grandparents prerogative) and where I would have cut these in half they had a whole one each…. my boy ate part of it and then gave it back when he had enough. Now this is the boy who I think could pretty much eat a whole chocolate cake – turns out I am wrong, again 😉 and very happy to be. So why am I writing all of this? To show other parents that there is hope. That your children can be trusted around food, that they have an intuitive sense of what to have and how much. It may be that like me, you haven’t been perfect in your approach to food, well it’s not too late to change that and have a conversation with your children. 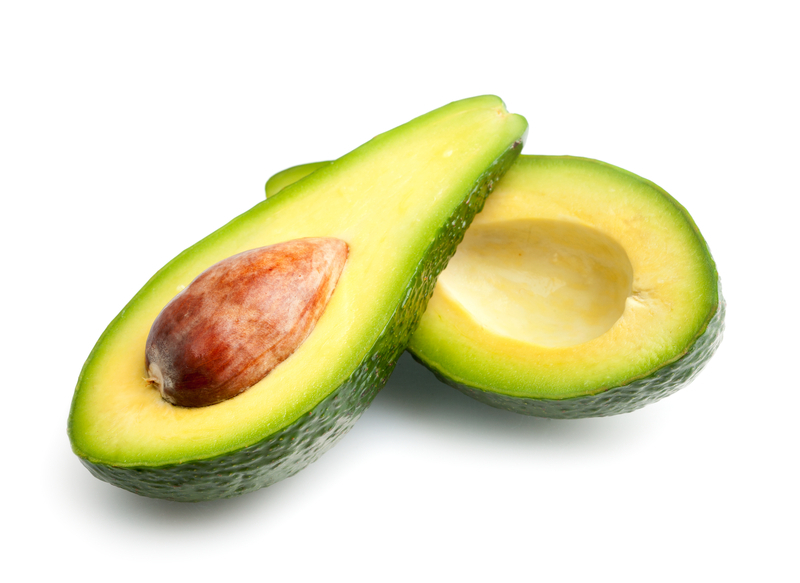 No foods are off limits or restricted. However as a parent you decide when to offer a food and what to offer. Your child decides what to eat from that selection and how much. If you have a cupboard of snacks like we do, then it is totally going to happen than you get asked for specific foods items from there, which could be totally fine but it’s working with your child to work out their hunger and what to put with their snack. Involve your children in the shopping and let them choose some of the foods, even if they are high sugar options you would prefer them not to have. It’s about learning how to have those foods safely, at home. Let your children choose what to eat from a selection of food, without judgement. This is HARD. If you have provided a range of food then it is up to them to choose what to have and not up to you to tell them. Sometimes stepping back can allow your child to shine and show their independance off. I’d love to hear your thoughts, experiences and problems. Do get in touch via social media, a blog comment or email. Family meal times are in my house a whirlwind. In my mind we are all going to sit down, enjoy a tasty, hot meal, with some lovely conversation and in relative calmness. The reality is very different. At the time of writing this I have a 6 year old girl, a 3 year old boy and an 8 month old baby. 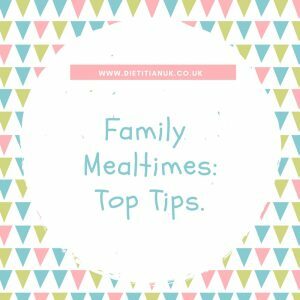 You can probably imagine how an average mealtime goes, but I will give you a snapshot in the hope it nomalises the chaos that may also be in your home. Mummy manages to find time to cook up a nutritious dinner, that in itself is no mean feat. Cooking at actual teatime in our house is like navigating through a very choppy sea, on a pirate ship, with cannon balls being thrown at you. So when possible I try to cook straight after school or at lunchtime. I plan meals at least a day in advance otherwise my stress levels spiral upwards! Mummy calls for someone to lay the table, usually meaning can my husband please come and do it. The reality is the 3 year old comes, upon prompting the 6 year old may join him. The table is quickly cleared by mummy (by cleared read – swept to one side or everything moved to the nearest worktop) and an assortment of cutlery is laid out. Certain people must have certain cutlery of course. Do not dare to give the 6 year old anything but a fork with a flower design on it! Finally food gets to the table, some people sit down whilst it is hot, others straggle along later. Now comes the “How many times can we get mummy to get up from her seat” game. The table was laid with only forks and no knifes. The boy wants a different coloured plate. The baby has no bib. A spillage needs a cloth. The cat needs putting out as he is trying to steal the babies meal. The 6 year old refuses to sit with her legs round the front of her chair and sort of hangs off the side. The 3 year old refuses to eat with cutlery most of the time. Someone starts a song which leads to a both children singing different songs at increasing volumes until mummy shouts “No singing at the table”. The conversation darts all over the place from Daddy trying to pass on some business information, to what happened at school and what the boy’s dinosaur wants to do tomorrow. Throughout it all the baby sits there and cracks on with her meal, watching it all. Towards the end of his meal, my boy tends to need some encouragement with eating his vegetables, along with some feeding. Then he will find a free adult lap to climb into. The 6 year old takes her time, leaving her favourite bit of dinner until the end. After a while the baby will want a cuddle and feed so mummy can end up feeding whilst eating her dinner. By the end of the meal there are content children, a food covered baby and a lot of clearing up to be done. So, even if you are a dietitian, mealtimes can be a negotiation process and far from perfect. That is family life. Family mealtimes are such an important time in our house though. A place where the family is all together, a time for sharing news, for role modelling manners, healthy eating, portion sizes, taking it in turns speaking and a time for fun as well. Plan meals ahead of time. I do a rough plan for the week at the weekend but leave it flexible as life happens. My children get a bit of input into this, so I canvas opinions and try to cook things everyone likes. Set aside some food prep time. Chopping all the veggies in one hit for 3 meals can save you time on other days. I find it easier to chop a pile of carrots, butternut squash, peppers and pop them in a ziplock bag in the fridge to keep fresh. Getting the kids involved can feel like it takes more time and effort, but see it as a learning time for them. I have a boy who loves to help me cook and my girl is getting quite good at laying the table now. Find the jobs that they enjoy. Don’t expect perfect table manners. Do have some family rules. One of ours is “No phones at the table” (well you can take a quick instagram shot and that’s it). Role model healthy eating and portion control to your children, they will thank you for it later in life. Offer a range of different foods throughout the week. We sometimes talk about the food we are eating, where it came from, what it is made from and what it tastes like. Don’t force anyone to eat anything they don’t want to eat. You may have to eat super early in order to fit with the children but I still think it is important to do this and it leaves you time for fruit and yoghurt later on. Enjoy the time you have together. It is precious. Help, my child won’t eat his veggies! We are firmly in a fussy eating stage, frustrating is the word. I currently have Miss K who will eat pretty much any fruit or vegetable and the J boy is decidedly anti-vegetables. 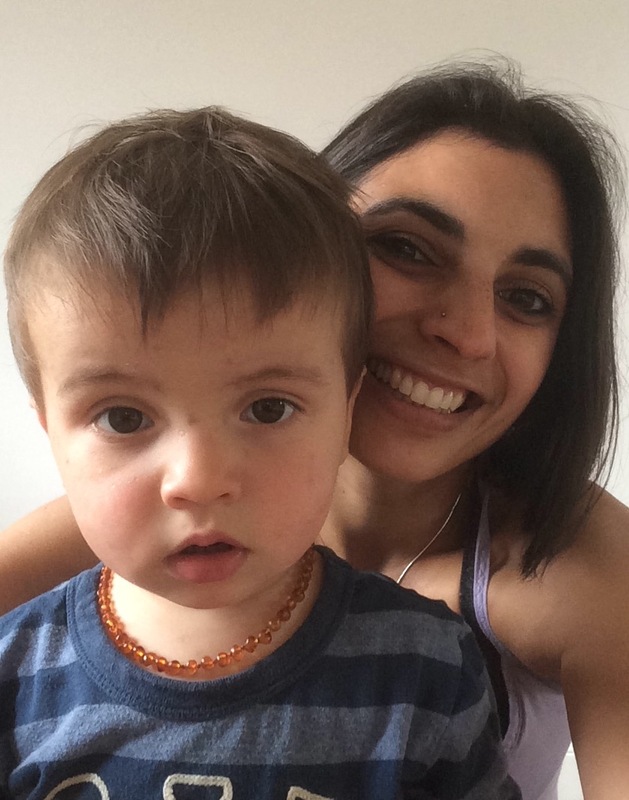 I’ve tried explaining the evidence behind why vegetables are so good for you, talking him through the nutritional benefits (I know, he is only 22 months right now but they understand more than we think, right? )… but he still insists on not eating that veg. His current trick is to pick up a carrot, tell me rabbits eat them and pop it on my plate. Hilarious. To be fair we have been through very bad chicken pox, an infection and now teething, so I fully well know why he is being fussy. However it still grates with me. So I’ve been coming up with all kinds of inventive ways to get those veggies in. I’ve found that actually he likes the taste but is less keen on them in their whole form. Grated is fine, added to muffins and flapjacks is fine, chopped up small on pinwheels works, blended in a sauce is all ok, but not in chunks on the plate. However I have persistently kept on offering them at each meal, hoping it will pay off. We have a few fail safe options including raw mushrooms, baked beans and spinach, kale or chard. Then today at lunchtime, a complete surprise. The J boy asked for avocado, not unusual as his sister was having some and he hates to be left out. I reluctantly gave him some expecting to get it put back on my plate in a squished, licked form… but he ate it and asked for more. So I’m just sharing for those of you in that frustrated place. It will pass. Fussy eating does not last for ever. All we can do as parents is to keep on offering healthy food, be good role models, stay calm and let them choose with no pressure. The trials of toddler eating. I’ve now weaned 2 munchkins and both of them have been through fussy stages. One of them is still there. That initial weaning part is something I find fun. Messy but fun. I love watching small people try new foods, learn about textures and experiment with what foods does. Both of my children have eaten practically anything at this point. Miss K wouldn’t eat Wasabi (cruel mum alert – it was in hummus, I didn’t think it through, but to be fair she did eat chilli), the J-boy doesn’t like leeks and neither of them have liked lettuce. Toddlerhood is another matter. Suddenly around 15-18 months your “fairly happy to eat what I’m given” person turns into a “I’m going to refuse things that look healthy and that you know I normally eat” person. I’ve now weaned 2 munchkins and both of them have definitely had their fussy stages. It is so, so easy to take these stages as a personal affront to your cooking. To get frustrated and downright annnoyed when they tip a delicious plate of homecooked lasagne onto the floor without even trying it. I’ve been there. I’m still working through it. There isn’t always a rhyme or reason to it – That same lasagne was eaten quite happily the next day. Sometimes there is a very valid reason for their fussiness and sometimes it makes no sense at all. Here are some reasons your little one may be in a fussy stage. 1. My teeth hurt. Teething has always had an effect on my munchkins eating. It makes perfect sense. If your mouth is hurting why would you want to eat certain foods? Miss K would eat anything in a puree form. The J boy refuses to eat vegetables and just wants softer, suckable foods like rice cakes, cheese, yoghurt. It’s at times like these that I have to get inventive. 2. I’m not feeling well. They can’t always tell us what is going on can they. I’ve found in the past that after getting slightly frustrated that small child has not eaten well at dinner, they suddenly keep me up most of the night with a temperature. 3. It’s just a stage. Some children can alter they way they eat in response to a developmental leap or it could be they are trying to express themselves or test out a boundary. I know when I am stressed or anxious it can affect my appetite. When your child is learning a new skill or going through a growth spurt it may affect their eating in the same way. Perhaps they want more of your attention and know not eating is a way to get it? Maybe they just want to see what happens if they refuse to eat things? It will all pass. 4. They are learning something. In developmental leap periods children can become fussier with their food. If you brain is on slightly overload at one end it can lead to other areas being affected. There is a wonderful app called The Wonder Weeks that takes you through these stages and explains what can happen when your child is in a “leap”. 5. They just want to see how you react. What will mummy/daddy do if I don’t eat something? Do I get a reaction? Being consistent and calm is so the key here. “Keep Calm and Carry On”. Don’t show them that it gets to you! Trust me I get frustrated but I remind myself that there will be a reason for the fussiness and use my “mummy poker face”. Keep on offering a range of foods. Don’t assume because they didn’t eat it the other day that they have a dislike for that food. One day they will eat it, one day they may not. There is no need to cook a different meal. 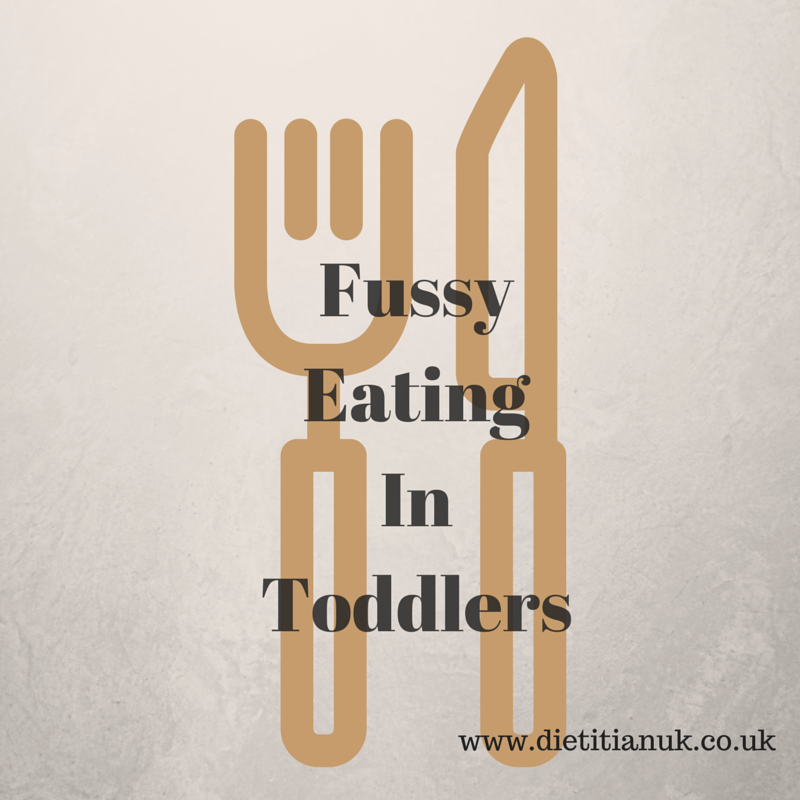 If your little one is choosing not to eat then that is ok. My toddler boy seems to hardly eat anything for lunch. A nibble of a cracker and a spoon of hummus can be his lot. They all make up for it somewhere. Extra veggies can be added into snacks and meals by grating. I often grate in courgettes and carrots or stir in frozem spinach to muffins, cheese biscuits or main meals to boost the nutrition in them. Offer vegetables in different forms at different times. My small boy will eat a mountain of raw mushrooms when I am cooking dinner for example. Relax. All children go through fussy stages. In the main these are just stages. They will pass. Keep on offering nutritious meals, plenty of variety and ride it out. Finally if you are at all worried then chat to mummy friends, they usually have the best advice and do get in touch if you need some extra support.